Dimensions 0 by 5.18 by 7.62 in. Three siblings must come together to save a magical island. It's been four years since Maya, Simon, and Penny Nelson left the lost island of Tamarind. For Maya, the island is a nearly forgotten part of her childhood; for Penny, it's a secret place she can't remember, but longs to see; and for Simon, it's an adventure waiting to happen. An evil group called the Red Coral Project is lurking around the Nelson's home in Bermuda, and the children discover that the project has moved into Tamarind, and are desiccating it to ruin. Only the Nelson's can save the island. In Tamarind, there is the mystery of the magical mineral ophalla that Red Coral is greedily mining, their old pirate ship, the Pamela Jane, and the secret of their friend Helix's parentage. This time, it is up to Simon to put the clues together, and save his sisters from the island and the nefarious Red Coral Projectâand defeat Red Coral before the magnificent island is put to ruin. Secrets of Tamarind by Nadia Aguiar is a vivid story reminiscent of such classics as Peter Pan, full of adventure, magic, and haunting beauty. 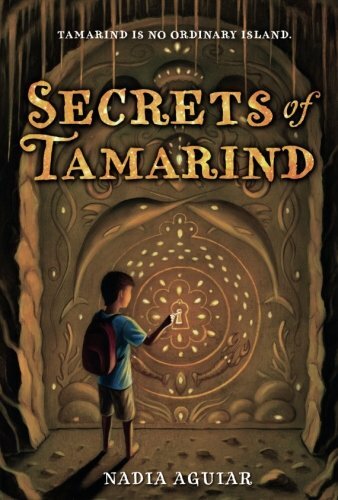 This is the stunning sequel to The Lost Island of Tamarind, and as Publishers Weekly stated in a starred review of Aguiar's first book, Secrets of Tamarind is a sequel "that readers won't want to miss." The adventure concludes in The Great Wave of Tamarind. About: Three siblings must come together to save a magical island. About: It's been four years since Maya, Simon, and Penny Nelson left the lost island of Tamarind.